on the balcony, roof or street. work done by a Haredi. I presume that I am to feel honored that a Jew, one Roger Cohen, during the break from synagogue services in London on Yom Kippur this year, penned, without breaking his fast, an op-ed for the New York Times entitled "Jews as Far as Possible" the whole point of which was to focus on my residency in Shiloh and to defame me as a "Messianic Jewish settler". these ceremonies are of a symbolic character, and serve to impress men with a certain idea, and to induce them to repent; as if to say, we have freed ourselves of our previous deeds, have cast them behind our backs, and removed them from us as far as possible. Jews, as I said, are a practical people. Their interest is in the feasible not in magic wands. "Only now"? Zweig (and Cohen) knows not of Jewish history and the constant incidences of expulsions and persecutions and slaughters? And were Jews insensitive before 1933 to others who were in unfortunate situations? Jews came up with the idea of a faceless God with whom they had a covenant, and that covenant — binding over thousands of years of uprooted wandering — was in essence a covenant of ethics...(while) For a long time it was a covenant of the powerless. Israel becomes the covenant people par excellence, summoned to bear witness to the purposes of creation, to endure the messianic tensions of history, to undertake the task of building a sanctuary out of the materials of this world...the covenant is not one possible interpretation of reality: it is reality itself as Israel experiences it. There are millions of Jews who try to escape it...it is here that the bond between the Jewish people and the land of Israel is located...the Jew is driven by a force s old as history itself to reunite himself with his land...the Covenant, in fact, rests on a triad of relationships: God, land and people. If he does read it, he will realize that he is the weak link in Jewish history, the one who seeks to escape. 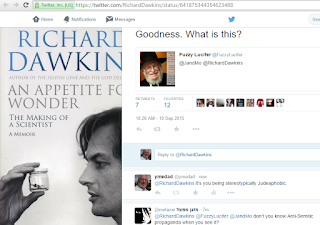 Not wishing to be seen as fleeing his Judaism, he redefines it to suit his own needs. And his need is to portray me and my family, friends and fellow residents of Judea and Samaria as "the Messianic Jewish settler". We are the Jews who acquiesce "to the injustice of dominion over another displaced people, the Palestinians" who think "justice and peace are incompatible with the status quo in the Holy Land." Perhaps such ideas are Jew-ish, the delusions of which “real Jews” in their absolutist certainties have rid themselves. But I will take the “as far as possible” of the Jewish philosopher over the all-or-nothing conviction of the Messianic Jewish settler. The historical reality is that in the 20th century, during 1929-1948, thousands of Jews whose families had, in many cases, been living for centuries in the Land of Israel under several foreign occupation regimes, were expelled from their homes - in Hebron, Gaza, Gush Etzion, Jerusalem's Old City - by Arabs after being terrorized, killed, raped and pillaged. 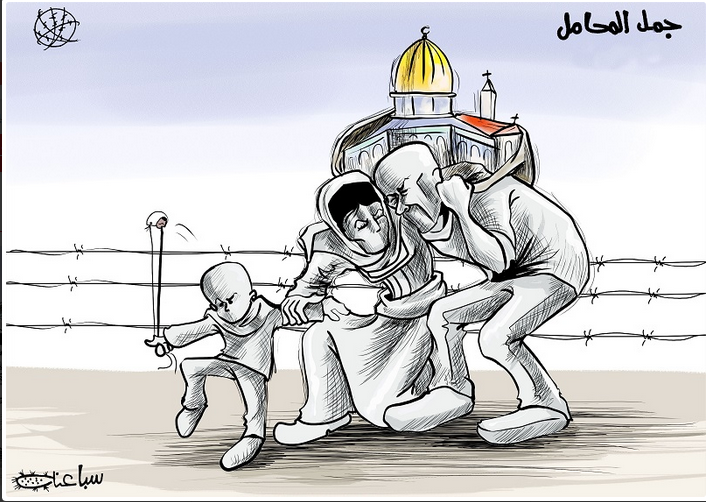 Israel returned to Judea, Samaria and Gaza as a result of yet another attempt at expulsion and eradication. None of this, it would seem, makes or leaves an impression on Mr. Cohen. He is an ASHamed Jew. He has a target - the "settler", and he will not be redirected no matter how wrong he is about Zionist values, about Arab behavior or interpretations of law. He is determined to assist the establishment of a political entity that, besides having no true national identity, has but one goal: the denial of a national identity for the Jews. For him, the most practical act, is to remove, as far as possible, genuine Jewish beliefs and philosophical outlooks from any dialogue, and also to redefine the course of recent history that will thus permit his narrative to be accepted. 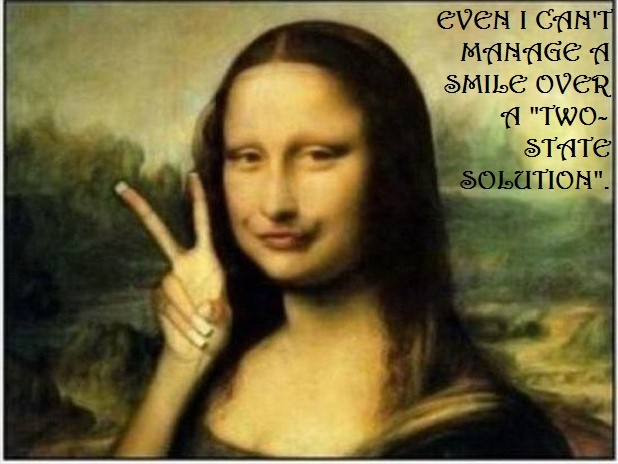 I, and some 600,000 more Jews who reside in Judea, Samaria and Jerusalem's post-67 neighborhoods, east, north and south of the former Green Line armistice delineation, are 'Messianic' and are not 'practical'. the moral dilemmas of the modern Israeli condition with its power and precariousness, its prosperity and violence, its uncertainty and contaminating dominion. 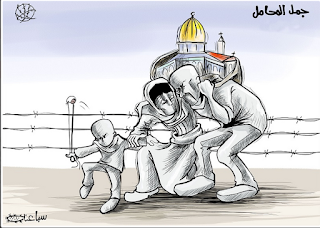 The terrible thing about the Holy Land today is the denial of this humanity to the stranger. What is truly terrible is not Cohen's outlook. 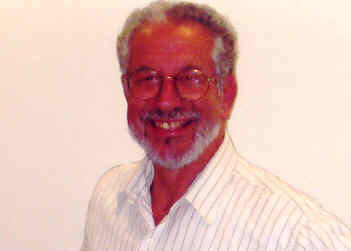 We Jews have always had to tolerate those who seek to usurp the right to define Judaism as they would have it be, not due to any internal deliberations among Jews and their traditions and legacy and legal and moral literary frameworks but in reaction to real or mostly perceived external views from either non-Jews or Jews who seek an 'out' in adopting what they hope will be a more comfortable political, social and cultural environment for themselves. What really bothers me is the utter willingness of Cohen & Co. to fly in the face of Zionism's experience and Arab actions and create their own false messianic construct and then use that non-practical abstract to flay their fellow Jews. And on Yom Kippur, in Cohen's recent case of rumbling ruminations. On the occasion of the end of the Days of Awe, we wish the Jewish communities in the United States, in Jerusalem, and across the globe a happy and healthy start to the new year of 5776. Shana tova. 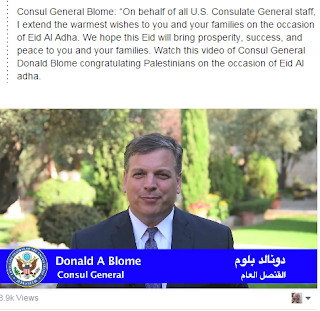 Consul General Blome: “On behalf of all U.S. Consulate General staff, I extend the warmest wishes to you and your families on the occasion of Eid Al Adha. We hope this Eid will bring prosperity, success, and peace to you and your families." And added a video of over a minute in which the Consul-General speaks, in Arabic, for over a minute with much more content. Next year ... in Hebrew? In Jerusalem? P.S. If you notice the words "end of the Days of Awe", yes, I went back and checked. There was no greeting at the beginning on Facebook. Here's the Press Release from Sept. 10. Palestinian President Mahmoud Abbas Wednesday called for the protection of Al-Aqsa Mosque compound and ensuring Palestinians’ freedom of worship in Jerusalem in line with the order that existed before the Israeli occupation of 1967. “The Israeli systematic aggression against Al-Aqsa Mosque compound, the first qiblah and the third of the holy sites in Islam in occupied East Jerusalem, the capital of the state of Palestine, could not serve peace, coexistence and tolerance among faiths and peoples.,” said Abbas during the inauguration ceremony of newly reconstructed central Moscow mosque. “On the contrary, it provides a pretext for worldwide extremists who are exploiting religions for terrorizing humanity,” he added. President Mahmoud Abbas on Wednesday condemned Israeli restrictions on Palestinian access to the Al-Aqsa Mosque compound during a speech in Moscow, as right-wing Jews toured the holy site to celebrate a Jewish holiday...He said that the Al-Aqsa Mosque was an Islamic right and that every Muslim in the world has the right to pray there. Abbas added that Palestinian leadership refused any procedure or decision by Israel that would prevent Muslims from reaching the site, which is the third holiest in Islam. also spoke of Palestinian aspirations for freedom, unity and an independent Palestinian state with East Jerusalem as its capital. He said that the reopening of Moscow's central mosque signified a clear message to the world of tolerance, coexistence and mutual respect for religions. Turkish President Recep Erdogan joined Abbas in condemning Israeli violations at the Al-Aqsa Mosque compound. Palestinian President Mahmoud Abbas called Wednesday on the international community to protect the holy Muslim and Christian sites in Jerusalem and to ensure freedom of worship as it had been until June 1967, especially with regard to prayer at the Al-Aqsa Mosque. His comments followed his warning to Prime Minister Benjamin Netanyahu on Tuesday that Israel's actions there could trigger a third intifada...On Tuesday, Abbas urged Prime Minister Benjamin Netanyahu to “stop the chaos” at the Al-Aqsa Mosque, warning that the recent unrest in Jerusalem could lead to another intifada. 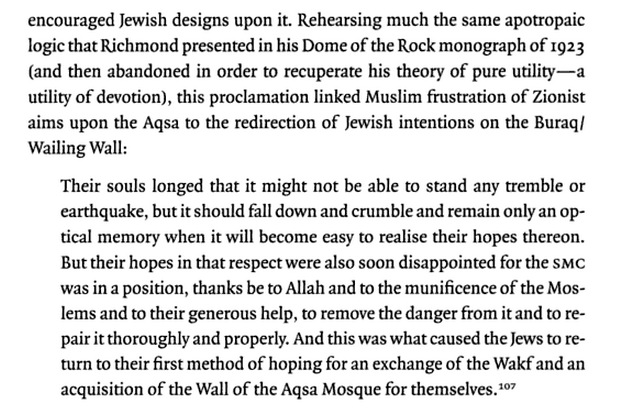 the British Government stated to Parliament in the White Paper of November 1928 that the Western or Wailing Wall "is legally the absolute property of the Moslem Community and the strip of pavement facing it is Waqf property, as is shown by documents preserved by the Guardian of the Waqf". "Subsequent to the investigation it has made, the Commission herewith declares that the ownership of the Wall, as well as the possession of it and of those parts of its surroundings that are here in question, accrues to the Moslems. 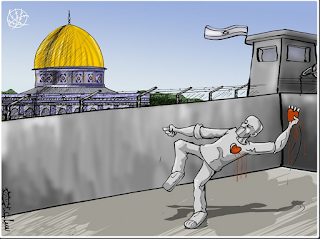 The Wall itself as being an integral part of the Haram-Esh-Sharif area is Moslem property. 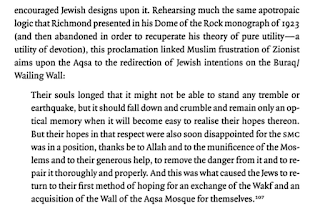 "Furthermore, on page 57 the Commission concluded:"To the Moslems belong the sole ownership of, and the sole proprietary right to, the Western Wall, seing that it forms an integral part of the Haram-Esh-Sharif area, which is a Waqf property. "To the Moslems there also belongs the ownership of the Pavement in front of the Wall and of the adjacent so-called Moghrabi (Moroccan) Quarter opposite the Wall, ...."
HC Deb 28 November 1928 vol 223 c438W 438W§Lieut.-Commander KENWORTHY asked the Secretary of State for the Colonies what steps he is taking to deal with the new stone construction by the Moslems on top of the Wailing Wall at Jerusalem, in violation of the status quo; and why this construction was allowed to be begun by His Majesty's Government in Palestine?§Mr. AMERY I am not satisfied that there has been a violation of thestatus quo by the Moslem authorities. According to the latest report received from Jerusalem it would appear that the small wall constructed above the building that surmounts a portion of the Wailing Wall is an integral part of a structure begun many months ago. So far as I am aware, it was never suggested, at the time that the work was started, that it would involve any infringement of the status quo. And here we find the term "status quo"
§40. Colonel HOWARD-BURY asked the Under-Secretary of State for the Colonies the present position with regard to the Burak; whether he is aware that the Wailing Wall is legally the absolute property of the Moslem community, with the strip of pavement facing it; that the placing there of tables, chairs, screens, etc., is against the status quo; whether he can state the temporary regulations that are now being enforced; whether he is aware that this enforcement is giving rise to a serious situation; and when these temporary regulations are to be withdrawn? §Mr. LUNN A memorandum relating to the Western or Wailing Wall in Jerusalem was presented to Parliament in November last as a White Paper (Cmd. 3229), and I would invite the hon. and gallant Member's attention to the statements contained in that paper with regard to the status quo, which could not conveniently be summarised in a reply. I will place a copy of the temporary Regulations in the Library of the House. These regulations were promulgated, with the Secretary of State's approval, as a matter of urgency with a view to the preservation of good order and docorum. As the High Commissioner has announced locally, the regulations are of a temporary and provisional character. They do not purport to define the existing rights of either Moslems or Jews, nor do they prejudice the rights and claims either of Jews or of Moslems. I appreciate the necessity of an early and authoritative settlement to replace these temporary regulations, and His Majesty's Government are giving close and active consideration to this difficult question. ...freedom of access to places of religious and historical significance...[promotion of] interfaith relations among the three monotheistic religions, with the aim of working towards religious understanding, moral commitment, freedom of religious worship, and tolerance and peace. 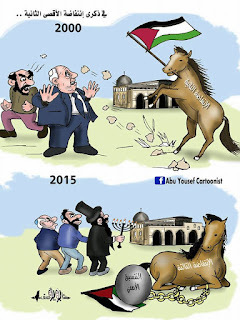 Abbas is escalating tensions and the probability of violence by creating a pre-status quo that was illegal at the time and surely a corruption of the original Dayan status quo. The Muslims are recreating new status quo situtations and it behooves Israel to halt this and reestablish Jewish rights. I would like to add a word about the Temple Mount: We are maintaining the status quo. We are not violating it. All remarks regarding the intention to harm the Islamic holy places are utter nonsense. It is not we who are changing the status quo; it is those who bring pipebombs and explosives into the mosques who are changing the status quo. Before Mr. Thompson’s invention, which automated the bagel-making process, consumption of the now-staple food was largely limited to Jewish enclaves in major cities. He was 94. We and our enclaves. Lucky we weren't then in 'settlements'. We used to be in 'Jewish neighborhoods'. What happened to those? On the way home from the Bronx after visiting my grandparents on Saturday nights late, we'd stop off at a bagel bakery under the Tremont Ave. El, I think. It was in the 1950s. Why Doesn't Diaa Hadid Clean Up Her Comments? ...the UN Special Coordinator for the Middle East Peace Process, Nickolay Mladenov, said..."As the Middle East faces a vicious tide of terror and extremism, such serious provocations have the potential to ignite violence well beyond the walls of the Old City of Jerusalem. I urge all political, community and religious leaders to ensure that visitors and worshippers demonstrate restraint and respect for the sanctity of the area. All sides have a responsibility to refrain from provocative actions and rhetoric." Mr Mladenov said the historic status quo of the area must be preserved in line with agreements between Israel and Jordan. The members of the Security Council expressed their grave concern regarding escalating tensions in Jerusalem, especially surrounding the Haram al-Sharif compound, including recent clashes in and around the site. The members of the Security Council called for the immediate cessation of violence and for all appropriate steps to be taken to ensure that violence ceases, that provocative actions are avoided and that the situation returns to normality in a way which promotes the prospects for Middle East peace between the Israelis and the Palestinians. Jordan's diplomacy has recently scored a success as the UN Security Council, under intense Jordanian lobbying, released a statement recognising the Al-Haram al-Sharif" by its name, instead of Israel's preferred reference to it as "the Temple Mount". 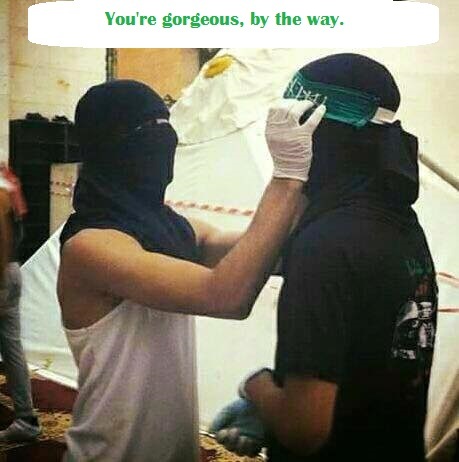 I would like to say something about the Temple Mount. Israel is committed to maintaining the status quo. We are not altering the status quo. Elements that incite with baseless, wild provocations – to the effect that Israel is trying to prevent Muslim prayer on the Temple Mount or wants to destroy the mosques, or other wild things that are being said – it is they who are inciting. This incitement comes from the Muslim Brotherhood, the Islamic Movement in Israel, Hamas, and – to our chagrin – with the active participation of the Palestinian Authority...not only the throwing of firebombs, but also something new - bringing explosives and pipe bombs onto the Temple Mount. 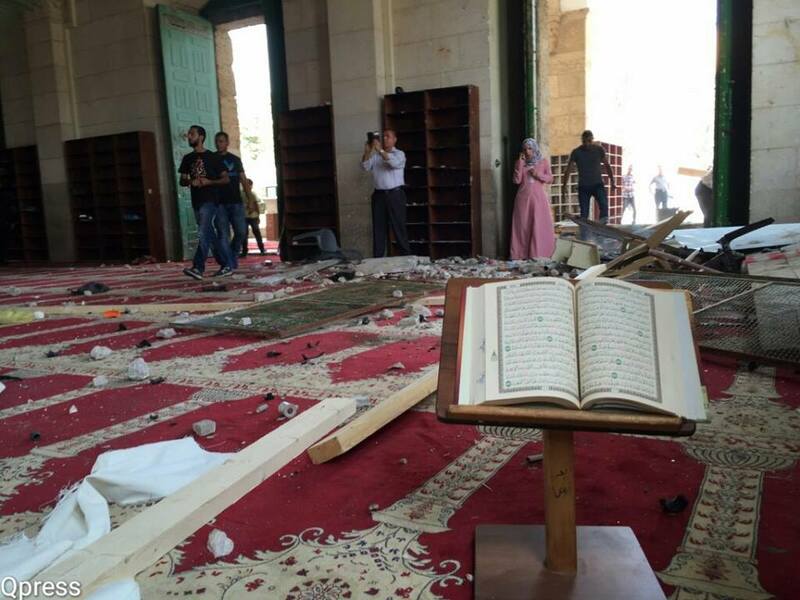 Explosives in the Al-Aqsa Mosque are explosives. 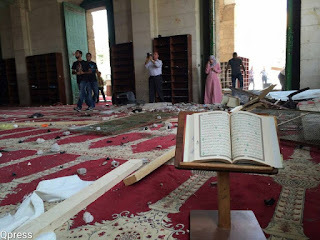 Explosives in Al-Aqsa Mosque – that is changing the status quo. Israel will maintain the status quo. It will act responsibly, but with determination, to ensure that the existing arrangements are maintained. We have no plans to change them, but we also have no intention of allowing anyone to cause the deterioration of the arrangements on the Temple Mount by resorting to explosive and widespread violence. 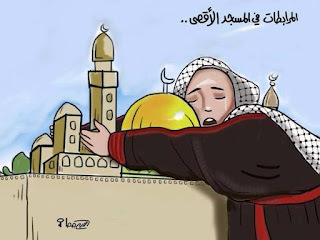 Mourabita said that her fellow mourabitat stay in the classrooms at Al-Aqsa Mosque and the adjacent houses of prayer, holding lessons in the Quran and Hadith. Outside, the men of the Mourabitoun fan out across the compound, operating in shifts. When Jews are spotted arriving on the mount, the men signal a lookout standing next to the women’s classroom to call the women to action. 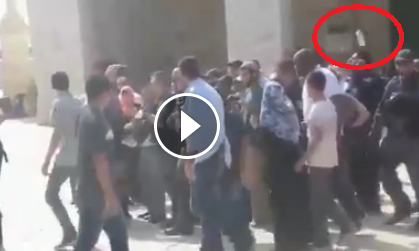 The mourabitat, dressed in black, their faces veiled, repeatedly call out in unison, “Allahu Akbar” (God is great), to scare off the Jewish pilgrims in a type of psychological warfare (a video clip). ...Al-Monitor: How is your job defined? It’s not just about prayer, is it? ...What are the mourabitat doing? Are they cutting down [olive] trees? Are they destroying houses? Are they building settlements or preventing others from building their homes? 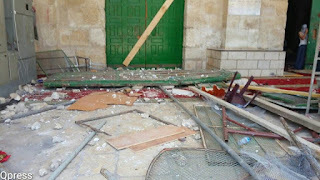 The mourabitat sit in Al-Aqsa Mosque so that the whole world will see and hear. 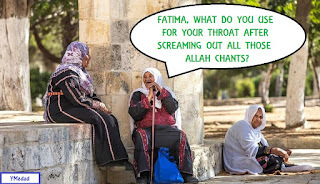 They study the Quran, study Hadith, and when a settler arrives, they call out loud together, “Allahu Akhbar, Allahu Akhbar.” You tell me, as a Jew, if a Muslim walked into a synagogue in which you were praying, would you be accepting of someone bothering you while you are at prayer? Of course not. That is what guides us in protecting the holy Al-Aqsa Mosque. With all this, I think a new handbook, something like "The Shlemiel's Guide to the Temple Mount" should be written. a. the police prohibit not only prayer but other acts that can be construed as religious in nature like ripping one's shirt which is a sign of mourning. 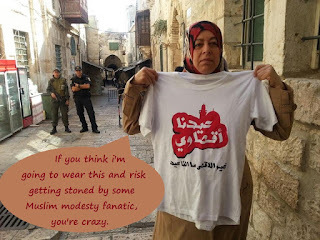 if a Muslim rips a Jew's shirt, is the Jew still guilty of having a ripped shirt? b. why is there no status quo for Muslims? they build new mosques and they create new organizations that did not previously exist. c. if a Jew visiting the site is not a "settler", but he is a left-wing Tel Avivian, is he nevertheless to be considered 'storming' the Haram A-Sharif? or 'breaking in'. d. if a Jew's feet are thought of as defiling the Al-Aqsa compound, does that count even if he is wearing shoes? should a Muslim's feet then be considered contaminating a Jewish holy site? e. if the Waqf guidebook to Al-Aqsa in 1924, when the Mufti was in charge, notes that the site was previously where Solomon's Temple stood, when today's Waqf authorities claim it wasn't located there, who is right? f. why are so many activities if done by Jews prohibited but playing soccer by Arabs at a holy site is tolerated? g. how is Jordan and its Waqf providing freedom of access to places of religious and historical significance to Jews and how are they acting together to promote interfaith relations among the three monotheistic religions, with the aim of working towards religious understanding, moral commitment, freedom of religious worship, and tolerance and peace? h. why are church leaders getting involved? The Nazi fantasy of a German Volksgemeinschaft bereft of all its "contaminators," first and foremost the Jews, was certainly one of the most extreme, if not the most extreme, case of such political fantasies. However, Confino's cultural history indicates that Nazism and the Holocaust nonetheless belong to this continuum of violently homogenized exclusionary ethnic states, which dream of spreading over vast geographical expanses. He also teaches us that understanding these fantasies is an essential part of understanding these transgressive events. ...Jews were being extruded. They were an alien Other, a source of contamination from whom the healthy German racial community had to be protected. Today, a week later, I heard MK Ahmed Tibi attempt to spin this on Kol Yisrael's Reshet Bet. He wasn't anti-semitic. Even Muslims who enter a mosque and tread on the prayer rugs would be defiling its sanctity. He didn't say 'feet but 'shoes'. But no "settler" entered the mosque nor step on a prayer rug. 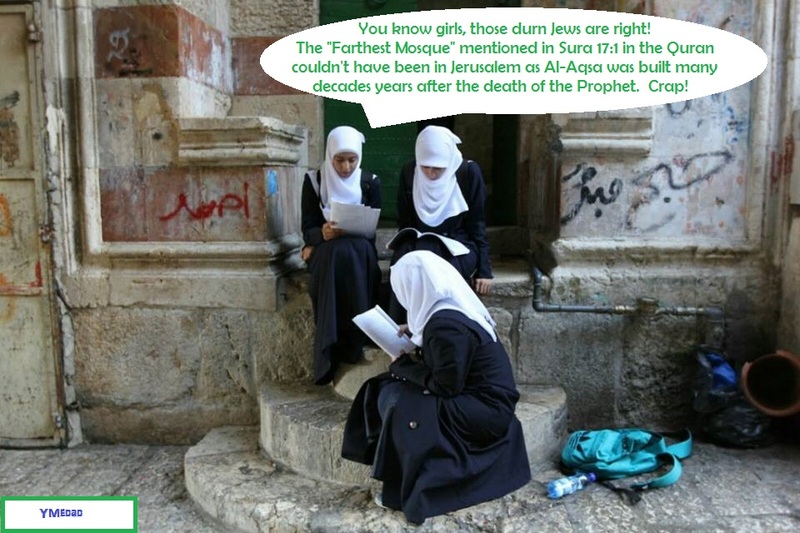 Sorry, but the Temple Mount platform compound is not an all-inclusive mosque. P.S. I now see that he included the Church of the Nativity in his statement so none of Tibi's apologetics apply as if he was referring to stepping on a mosque prayer rug. ...The First Cod War lasted from 1 September until February/March 1961. It began as soon as a new Icelandic law that expanded the Icelandic fishery zone, from 4 to 12 nautical miles (7.4 to 22.2 km), came into force at midnight on 1 September. 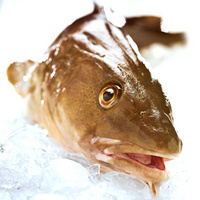 The term "cod war" was coined by a British journalist in early September 1958. None of the Cod Wars meet any of the common thresholds for war though, and may more accurately be described as militarized interstate disputes. Many incidents followed, such as the one on 4 September, when the ICGV Ægir, an Icelandic patrol vessel, attempted to take a British trawler off the Westfjords, but was thwarted when HMS Russell intervened, and the two vessels collided. On 6 October, V/s María Júlía fired three shots at the trawler Kingston Emerald, forcing the trawler to escape to sea. On 12 November, V/s Þór encountered the trawler Hackness which had not stowed its nets legally. Hackness did not stop until Þór had fired two blanks and one live shell off its bow. Once again, HMS Russell came to the rescue and its shipmaster ordered the Icelandic captain to leave the trawler alone as it was not within the 4 nmi (7.4 km) limit recognised by the British government. Þór's captain, Eiríkur Kristófersson, said that he would not do so, and ordered his men to approach the trawler with the gun manned. In response, the Russell threatened to sink the Icelandic boat if it so much as fired one shot at the Hackness. More British ships then arrived and the Hackness retreated. Activists have demanded that Muslims be kept at a distance and not be permitted close proximity to Jewish visitors on the Temple Mount. The attack a year and a half ago the day after Pessach is one reason as the subsequent weak police reaction. That is either a shoe or another projectile. And another view of the results. "Police spokesman Micky Rosenfeld says police moved into the Al-Aqsa Mosque compound at around 7 a.m. Sunday. He says police had received reports that the protesters were planning to disrupt visits to the area by Jewish worshippers. " We are allowed, sort of, a short stroll through the precincts. If anyone is desecrating a holy site it is Muslims who store weapons such as pipe bombs, firebombs, fireworks, stones, etc. Letty Cottin Pogrebin's letter ("An Irony in Jerusalem", Sept. 11) misidentifies the site where she asserts Jewish women are harassed by ultra-Orthodox men for praying with prayer shawls. It is not the Temple Mount but the Western Wall Plaza area. In fact, would those women ascend to the Temple Mount compound, they would receive the same treatment as Jewish men from Muslims: shouting, screeching, interference in their walks, occasional pushing, spitting and throwing of objects. I find it ironic and hypocritical that Israel would prosecute Muslim women who demonstrate and harass Jewish men at the Temple Mount/Al Aqsa holy site when Israel has for years ignored similar harassment by ultra-Orthodox Jewish men against Jewish women wearing prayer shawls who dare to pray on the same Temple Mount with a Torah. The writer is a founding editor of Ms. magazine and a former president of Americans for Peace Now. Moreover, she is a bit of a silly lady. Police have for over two years been quite forceful in preventing anti-woman violence (of course, never enough); the Supreme Court has intervened; Naftali Bennet and Natan Scharansky are pushing solutions and - as I wrote to the paper - the site of the "irony"is the Western Wall Plaza not the Temple Mount. Correction: September 12, 2015 An earlier version of this letter misstated the site where ultra-Orthodox Jewish men have harassed Jewish women at prayer. It is the Western Wall plaza, not the Temple Mount. Israel, The Media's Special Interest Item. Israel is a media special interest item. chase and shout at Jewish visitors...often surround visiting Jews and the Israeli police guarding them, shouting “God is Great” and holding up the Quran, trying to disrupt their visits to the compound. who 'contest' the Temple Mount. mourabitoun for the men and mourabitat for the women, which roughly translate to “garrison soldiers,” formed in recent years to assert Palestinian sovereignty over the sprawling compound that Jews call the Temple Mount and Muslims call the Noble Sanctuary, or Al Aqsa, which is the name of one of two main Islamic shrines there. 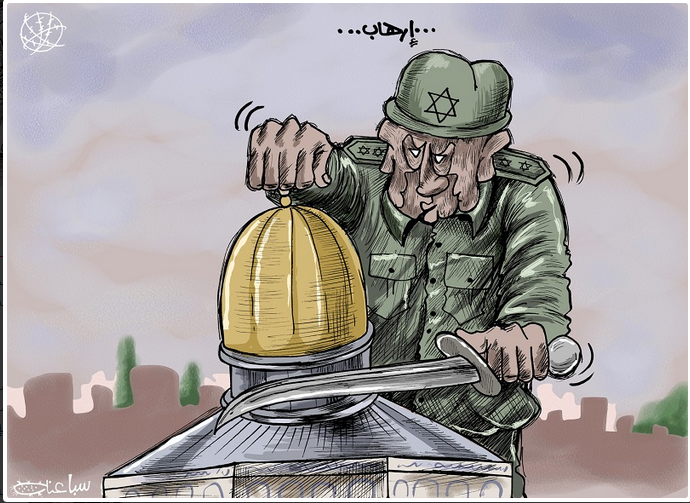 “The two organizations aim to erode Israeli sovereignty on the Temple Mount and change the religious status quo on the site,” the statement from the defense minister’s office said. Are they changing the status quo by interfering with the legal right of Jews to pray? If so, can we pray? What other religious act is involved? And how religious is this political goal? In recent years, Palestinians have come to see the compound as their last real institution in East Jerusalem, their hoped-for capital of a future state. So, what exactly is the dispute about? Communicated by the Defense Minister's Media Adviser) Defense Minister Moshe Yaalon, last night (Tuesday, 8 September 2015), upon the recommendation of the ISA and the Israel Police, signed a declaration declaring the "Mourabitoun" and the "Mourabitat" as illegal organizations, having been convinced that the step was necessary in order to defend the security of the state, the well-being of the public and public order. 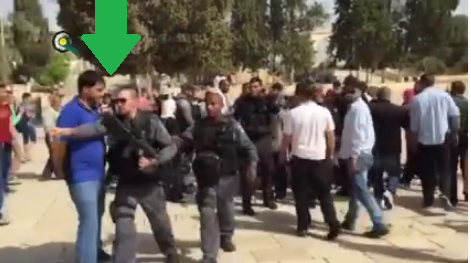 The activities of the "Mourabitoun" and the "Mourabitat" are a main factor in creating the tension and violence on the Temple Mount in particular and in Jerusalem in general. They engage in inciteful and dangerous activity against tourists, visitors and worshippers at the site, which leads to violence and is liable to injure human life. 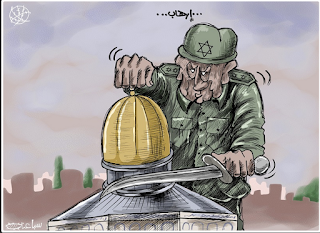 The aforesaid organizations strive to undermine Israeli sovereignty on the Temple Mount, change the existing reality and arrangements at the site and infringe on freedom of worship. They are linked to – and frequently guided by – hostile Islamic organizations. The declaration was signed after receiving the approval of Attorney General Yehuda Weinstein and means that henceforth, those who participate in, organize or finance activity of the "Mourabitoun" and the "Mourabitat" are committing a prohibited act and are subject to trial. Defense Minister Yaalon: "The State of Israel allows freedom of worship to all its citizens, tourists and visitors regardless of their religion and holds this to be an important and essential basic value. However, we have no intention of allowing violent and inciteful elements to harm public order and threaten the safety of worshippers especially at a sensitive and holy site such as the Temple Mount." Roman occupied territory of Palestine?!! That was written by Dr. Peter Gathje, a professor of Ethics at Memphis Theological Seminary, where one of his courses is Christian Political Thought, and Founder of Manna House; a place of hospitality for homeless and poor persons in the city of Memphis. His teaching and research interests include "Christian discipleship in relation to poverty, racism, and homelessness, nonviolent social change, and state violence, particularly the death penalty and war." What he has done above is knowingly or otherwise, who engaged in anachronistic sublimination. "Palestine" did not exist during the Roman times. Jesus was a Palestinian Jew. He would have grown up with stories of conquest and oppression. 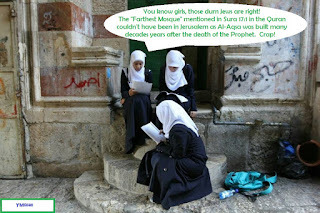 In this quick geography lesson of " Palestine in the Time of Jesus", at least they use Judea and Samaria. The country was Israel, the 'land of the Jews' as the Egyptians knew in 1200 BCE, as the Babylons knew and as the Greeks and later Romans knew. Christians today should know that, too. Sixty-Thousand Americans & "Palestinian Hamlets"